...is family owned and operated with over 50 years of experience in the maritime towing industry. We have wide ranging expertise in the areas of ship assist, movement of cargo and bunker barges, ocean towing services, rock hauling and dredging. 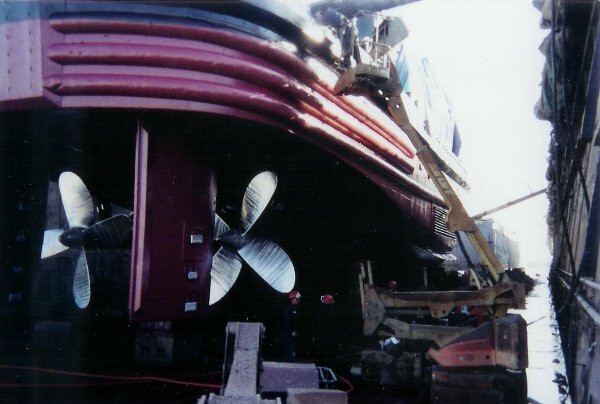 We supply equipment and services to salvage experts such as Parker Diving Inc., for salvage of stranded vessels along rugged sections of the Northern California coastline, and oil spill support services for Marine Spill Response Corp. Other projects have included Ro-Ro support services for water transport of large refinery and power distribution equipment. We currently operate three tugs American Eagle ( A rated), 4,300HP twin screw tug; Silver Eagle Class (A+ Tractor rated), 4,400HP Tractor Tug; and the 1800HP twin screw Sea Eagle . We also operate a 40' X 160' flat deck barge mounted crane for loads up to 60,000 lbs. 24hr dispatching is available to meet and exceed our customers requirements in an expedited manner.